Planner or Pantser? How about Plantser? NaNoWriMo has me listed as being a member for 8 years, but I know that I started closer to ten years ago. Which is amazing, but also daunting! I’m disturbed by how quickly time flies. If you are unfamiliar with NaNoWriMo, it is an annual writing competition with a goal of writing 50,000 words in 30 days. There’s no cash or other prizes – the reward is completing your goal. While 50,000 words is much shorter than the length of a conventional novel, this is a more of a “it’s the thought that counts” kind of thing. This isn’t meant to discredit NaNo at all! The point of it is to show writers and aspiring writers (who, like everyone else, tend to have busy lives) that they do in fact have the time to write a novel. It’s an intense practice in discipline, and the sense of community formed by the NaNo forums and IRL meetups makes that discipline feel fun. I have used NaNo as a starting point for several of my novels. In about a decade, I have only completed 50,000 words twice. Both are for novels that now have significantly higher word counts but are still in Revision Hell…because I hate editing pieces that big. Editing those novels may be my resolution for 2018! This year I want to make NaNo more fun for me than usual; I want to write something that I won’t feel pressured into revising into an 80,000+ word final draft. I also want to hit the 50,000 words with a fairly decent (but still fun and silly) COMPLETE story. My goal is to turn it into a novella and treat it as a low-pressure first foray into self-publishing online. The challenge I’m facing is how to complete something both fun and decent in one month. While NaNo rules dictate that I cannot start writing my novel until November 1st, I can complete an outline. And boy, are there lots of outlines on the internet to choose from! Both years that I’ve won were through extensive planning. I don’t use software like Scrivener (at least not yet), so I utilize a combination of Word, Evernote, and good old paper journals. In past years I have found it incredibly helpful to create notebooks in Evernote with easily accessible notes on character bios and chapter-by-chapter plot points. I’ve tried a lot of planning methods in the past week: the Snowflake method, the One Page Novel, even using the screenwriting Beat Sheet method. But all of these outlines have felt way too restrictive for the story I want to write. I understand these outlines as mainly following the iconic Hero’s Journey, but the plot that I’m leaning towards is a bit more absurd. I also feel like I will bore myself to death if I outline too many details, which is exactly what happened with my uncompleted novel last year. I had completed 50(!) chapter outlines in advance, only to find myself hating the story halfway through the month. I was also trying to write a more silly story, and I feel like saving the editing and structuring for later would have worked much better. So this year I am trying a laid-back method of planning that allows me to improvise quite a bit. All of my outlining is in one Word doc, though I may eventually move it to Evernote for organization purposes. The first page is my own one-page summary: a seven-paragraph abridged version of only the most important events in the novel, including the beginning, two turning points, and the end. Everything in between is up to me and the bottle of moscato I’ll be drinking as I write in November. 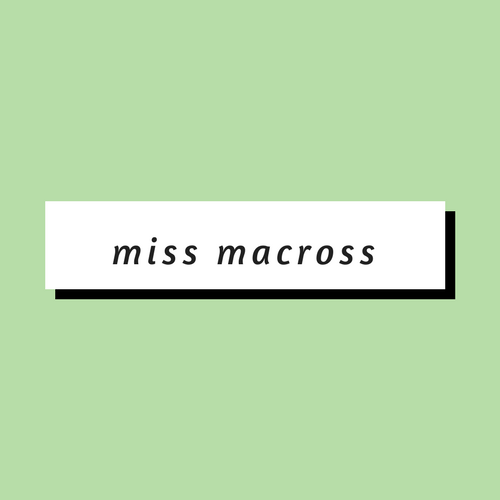 The pages that follow have simple, one-to-three paragraph bios of the main characters, with their more important details that I should keep consistent and their fun quirks that I shouldn’t forget. That’s it! I won’t know how my reduced planning will work – it will likely depend on the amount of writing time that I have, as well as how much creative energy I’m able to put into it. But as long as I spend the whole month writing and don’t give up, I know that it’ll be worth the try.